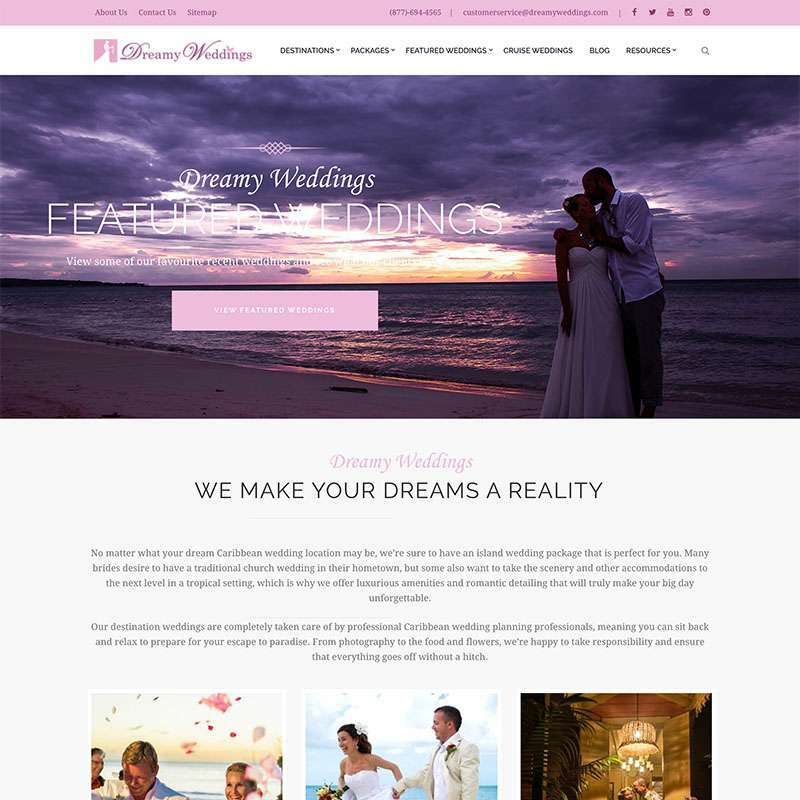 Dreamy Weddings is a destination weddings specialist that works with cruise ship and hotel guests looking to tie the knot or renew their vows in locations across the Caribbean and Mexico. Dreamy approached Mosaic to help them redesign their wedding planner website in 2016. The previous site was built on an outdated content management system and the client had not been trained on its use. Site content was thus out of date and not representative of the brand. Similarly, the site was not mobile-friendly, and did not function as expected on handheld devices. Representatives of Mosaic traveled to St Kitts to meet with the Dreamy team and put together a plan to revamp the wedding planner website, that would address these issues and increase traffic to the site. The site was launched in late 2016, and Mosaic continues to support the client with ongoing search engine optimisation and content marketing services.